Hello! 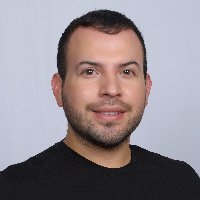 My name is Jonathan Caballero, a Licensed Professional Counselor in Texas. I received my BA in Psychology from Texas State University, and my MA in Counseling from St. Edward's University in Austin, TX. While in Austin, my work was primarily focused on gender dysphoria, coming out, and other issues specific to the LGBTQ+ community. I enjoy working with parents who may have a child who identifies as a member of the LGBTQ+ community, and might have difficulty accepting their child as they are due to fear, cultural conflicts, or a lack of understanding. I can help educate you and guide you throughout your journey of discovery. I also have extensive experience and strong interest in working with trauma, depression, anxiety, and problem associated with life transitions. My approach is experience driven and real. I tend to stay away from clinical jargon and try my best to form organic and trusting relationships with my clients. Therapy should not be frightening, and I do my best to provide my clients with a sense of calmness throughout the therapeutic process. Jonathan can catch a curve ball. With a number of unusual factors in my situation and a dark sense of humor to boot, not all counselors can handle me in an empathetic, measured way. Jonathan is quick on his feet, flexible, supportive, and, above all, genuinely caring about all his patients. A genuine rapport was quick to cut through my skepticism about an online counseling platform, and I would recommend his services to anyone. Jonathon was extremely helpful, precise, and to the point in dealing with the situation I was facing. He served the purpose that I needed and I am grateful to him for that. I live for Jonathan and I's convo. Would you like to write a review for Jonathan Caballero? We'd appreciate if you can spend a couple of minutes to write a short review for Jonathan Caballero (MA, LPC). This review would be shared with Jonathan Caballero. It may also be posted in our website or in Jonathan Caballero's profile but it would be anonymous and your identity would be kept completely confidential.